In drum performance, the hi hat is being controlled in the most subtle way. 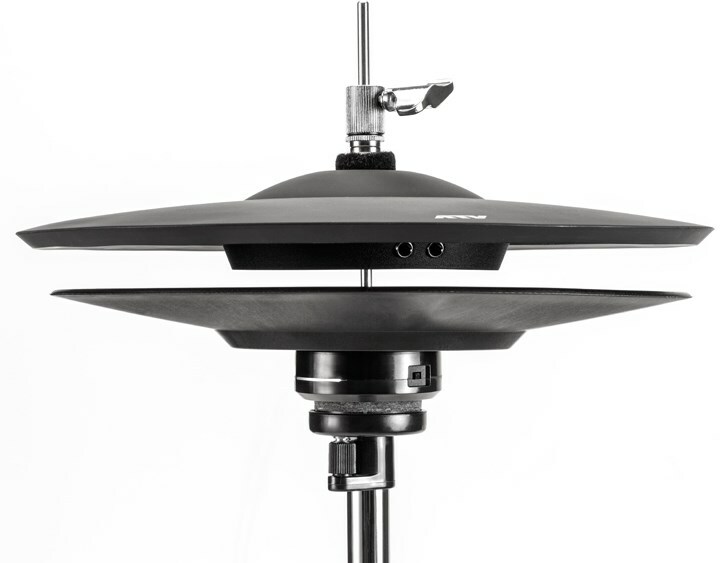 Most previous electronic hi-hats use contact-type sensors, which were limited in their detection precision and tracking. The aDrums' hi hat uses a non-contact to ensure high precision sensing that won't lag, even when the hi hat is opened and closed rapidly. The control algorithm used by the aD5 is also optimised for this new sensor, allowing a still higher level of expressive power and accuracy. * The hi-hat input of the aD5 does not support the cup zone. * Cables are not included.